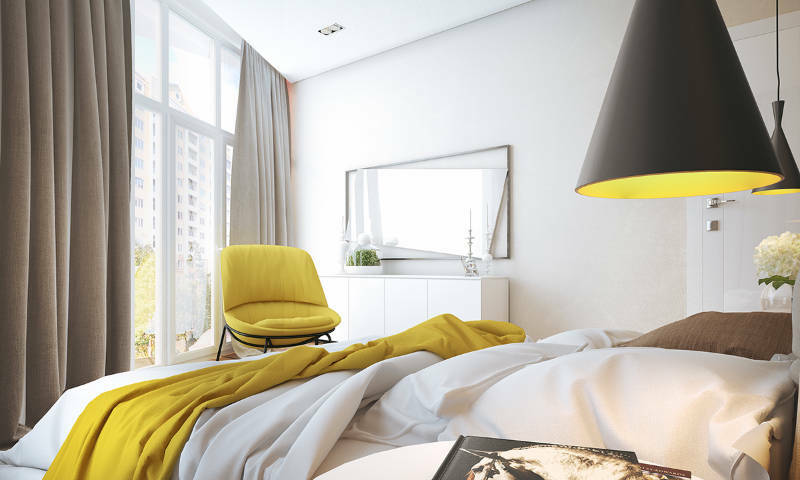 Learn how to make your bedroom feel and look more spacious by following 5 easy steps! Time goes by and we cram too much stuff in it, or we move to a bedroom that lacks enough space to get around and all our stuff has to be crammed anyway. It can lead to some frustration. If only all bedrooms were spacious and open like in the movies! If only it were that simple, Sarah Jessica-Parker. But hey, it doesn’t matter which of those is your problem; we can make it better in five steps. Without overspending, and without over-planning. And by the time we’re done, you’ll fall in love with your bedroom once and for all! 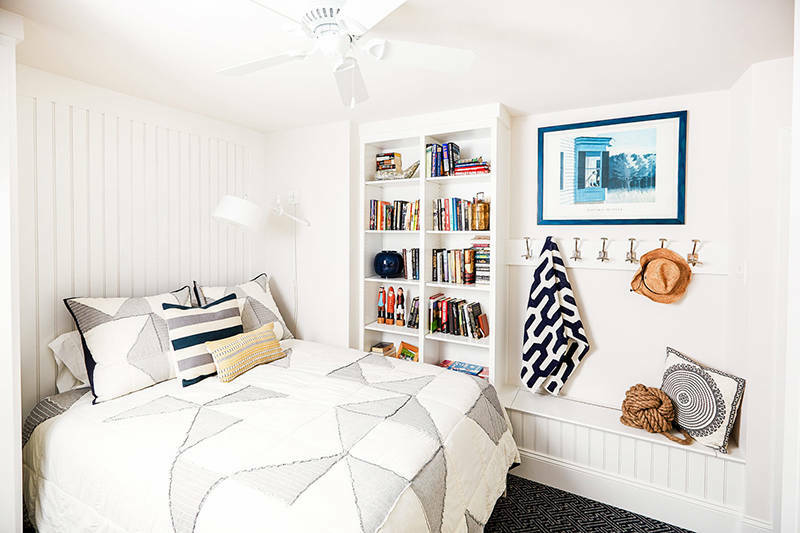 Vertical space is great for small rooms — you can add a variety of storage or even decorative space without sacrificing too much of your limited horizontal plane. 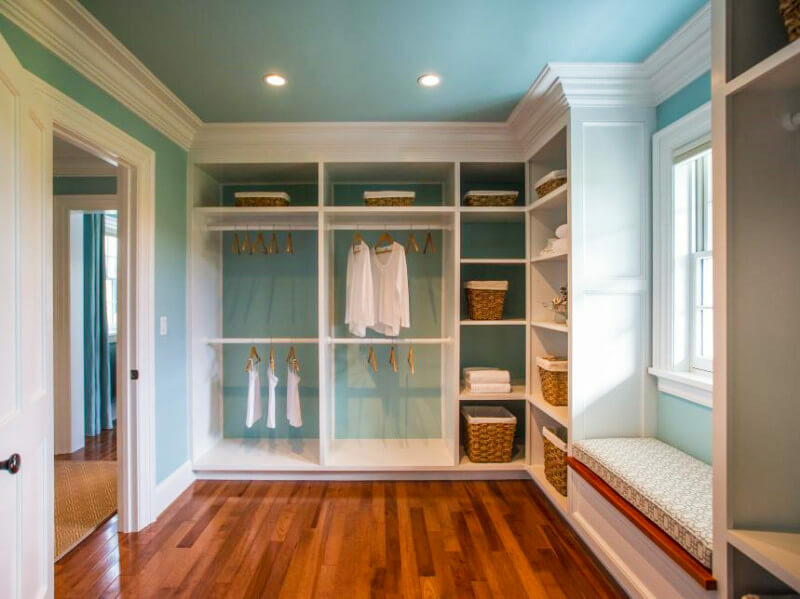 In fact, hanging shelves will only add to your room without taking any horizontal space. But if you have some room to spare, take advantage of nightstands, bookshelves, and cabinets. Especially if you’re dealing with limited space, don’t cram stuff you don’t need in your room. This goes for furniture as well — only keep what you need. And if you can afford a smaller or less cumbersome version of something, even better! 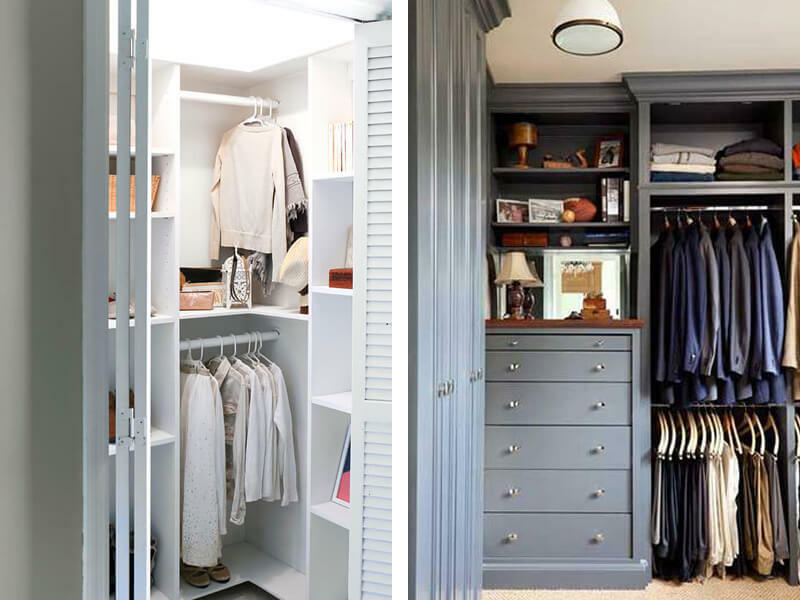 You’ll be maximizing space and getting something new at the same time. So take a good look around and keep things as practical as they can be. This is a classic little trick — some beds already come with storage underneath, but you can improvise it as long as you have that extra space in there. Use small containers like boxes, baskets, or improvised drawers. 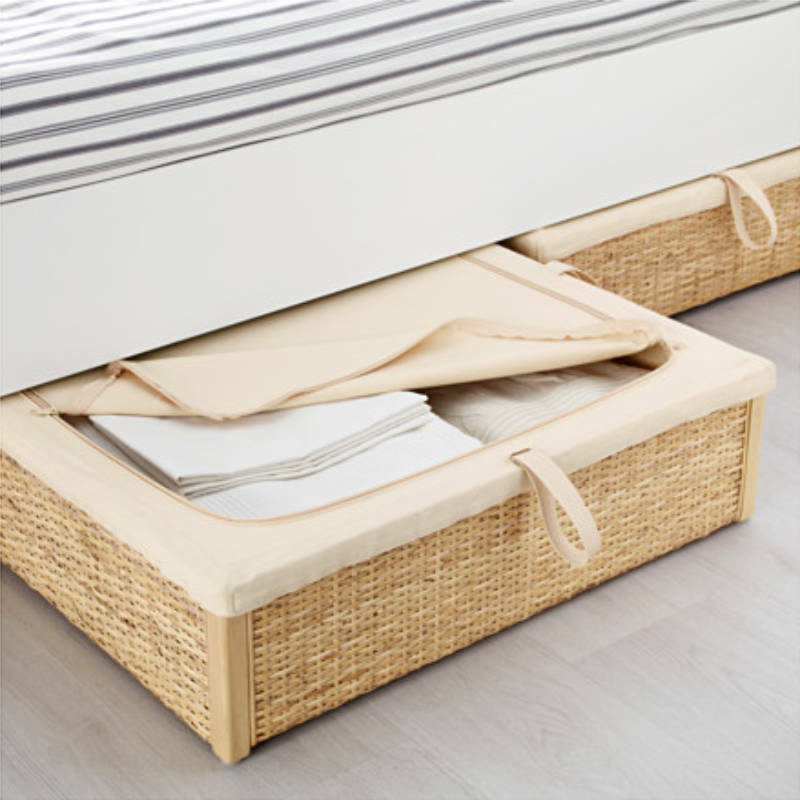 They’re great for storing books, shoes, toys, clothes… pretty much anything you need. All neat and tidy under the bed! While we’re on the subject, it also helps to fold clothing properly to maximize space. Half the time you feel like you room is crammed or lacking in decent space is due to clutter. So before bringing any more stuff inside, take a moment (it doesn’t take long) to declutter. It will give you a much better notion of space and makes planning a whole lot easier. If you’re on the fence about decluttering, here are 14 things you can get rid of right now. Another classic tip for small rooms, brightening up the place is more about the feeling than anything else — maybe your room is properly optimised for space, but dark and oppressive colors can make it feel claustrophobic… even if it isn’t. Mirrors can help. You’d be surprised how a properly place mirror can amplify the impression of “space” in a room. So decorate with small mirrors, or get a six-foot tall one to leave near the dresser. It adds an extra dimension to the bedroom. Need some help making the most of your bedroom? 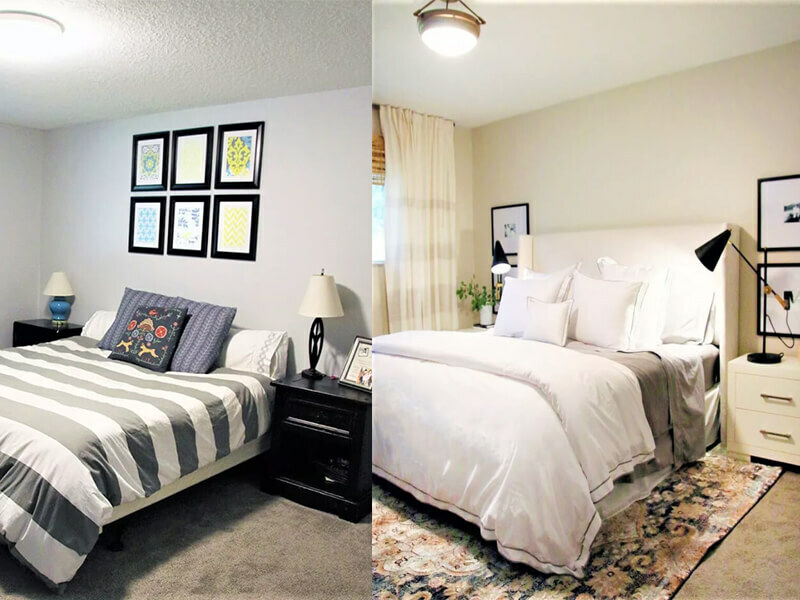 Call us today to get a free estimate from a professional interior designer and see how your bedroom can be transformed! 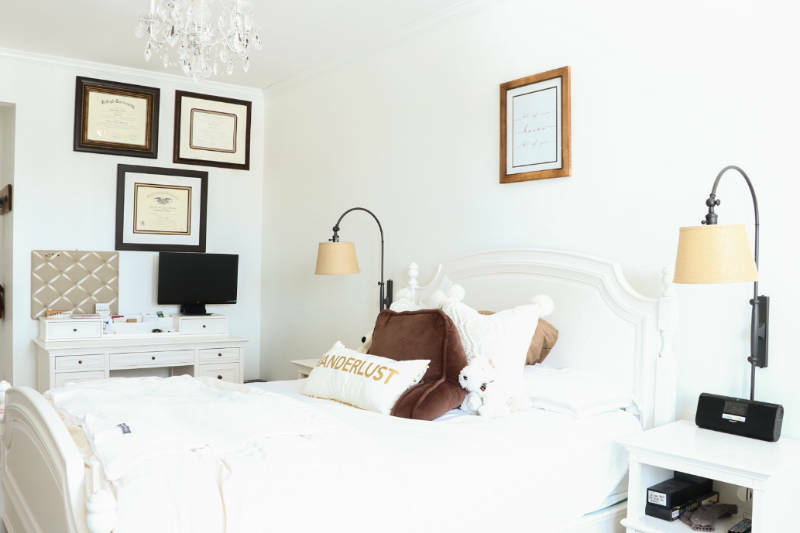 Weekend Challenge: Can You Clean Your Bedroom By Following These 5 Steps?